The other day I hopped in the car to head home from work and had a conundrum – I’d finished catching up on the last round of Retronauts podcasts and wasn’t sure what to listen to on the way home. So before turning the key I took a quick look through my playlist, saw Outrun Online Arcade, and thought, “Why not?”. Turns out it was a great choice. 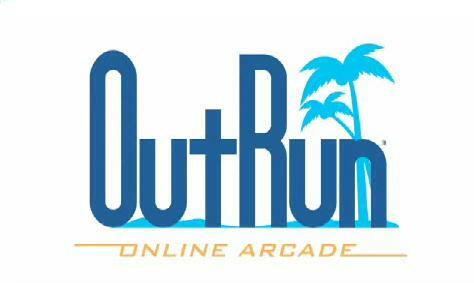 There’s more than a hint of spring in the air, so I wound down my windows to let some fresh air in and listened to the golden, joyous remixes and original tracks from Outrun Online Arcade (which is basically Outrun 2/2006 but in HD with online play [that nobody plays anymore :(]). So, inspired by this, I went through my Saturn games over the weekend just passed to add some redbook audio from a few games to the playlist – Daytona USA, Sega Touring Car and Sonic R (with that Richard Jacques magic) made the cut, then to mix it up I added in a few others, including Asuka 120% Limited – Burning Fest. Limited, Virtua Fighter Kids and (don’t laugh!) Keio Yugekitai – Katsugeki Hen. The latter definitely put a smile on my face on the way in to the office. It reminds me I should fire it up some time soon for another round, it’s such an amazing little gem of a title. Actually, this whole rant suggests I should do a dedicated post (or perhaps a couple of dedicated posts) on the joys of redbook audio in the 16-bit and 32-bit eras. Stay tuned, I’m sure I’ll get around to it at some stage! This one’s from mymorningjackets, and is an amazing, bittersweet piece of awesome, lead by piano with a bit of classical guitar thrown in for good measure. There are also a couple of other great interpretations in his list, so might have to come back to him in a later post after I’ve had a chance to check out his blog. So, with all things “street” on my mind, I started seeing results for Street Fighter 2 gear on the piano! Here are a handful of videos I found that I thought were worth a look into! The day my mate McAdam and I accidentally unlocked the vocal theme of Sakura’s song (in Japanese at that!) on the PAL version of Super Puzzle Fighter 2 Turbo on the Saturn was a glorious day, because she has such an amazing theme song (I got goosebumps playing through Sakura’s story in SF4 with her theme recurring throughout! ), and this one’s a great version of her theme. Nothing’s embellished, but there’s nothing wrong with that. Remember, Sakura is awesome. Very important fact. If Ryu’s theme doesn’t go down in the history of awesome of chiptunage, there’s something wrong with the world. If need be we can get rid of Sephiroth’s theme, as that’s starting to annoy me, but that’s because I’m an irrational fan of Phantasy Star and have yet to play through a Final Fantasy game based purely on principle. The exception to this is Final Fantasy III on the DS, which I really enjoyed (thanks Hamez! ), and Final Fantasy IX always looked fun, as did FFVI. Anywho, enough of that – Rastapulse is responsible for the above, and I’ll be referencing him again too, as his interpretation of Ryu’s theme is brilliant. There’s a deliberate slowing of the tempo and some great phrasing in there – very expressive, and the little intro/outro he’s added is cool! Fun fact – I used the melody of Cammy’s theme in an early megamix I made when I was first learning how to program stuff in a MIDI-sequencer. It was actually completely rubbish, but good fun at the time. MIDI sequencing programs confuse me now, I was quite happy with Evolution MIDI back in the day, it was choice. Now, if I was able to program something akin to the above on the aforementioned program, I would have been much more proud of myself. Akin to the Ryu theme that Rastapulse was responsible for above, this one’s slowed the tempo and emphasised the melody really nicely – again, great phrasing and execution. I haven’t checked out the rest of the material in his YouTube channel yet, so might have to get onto that later. Last one – Guile’s theme, and I left this until last as it has elements from each of the styles I’ve linked to, with some of it emphasising 1:1 phrasing compared to the original with lotsa piano-passion, and then there are other moments where the melody’s been played around with a bit of artistic license and takes on the languishing character of the themes Rastapulse did above with just the right amount of melodrama to make things interesting.